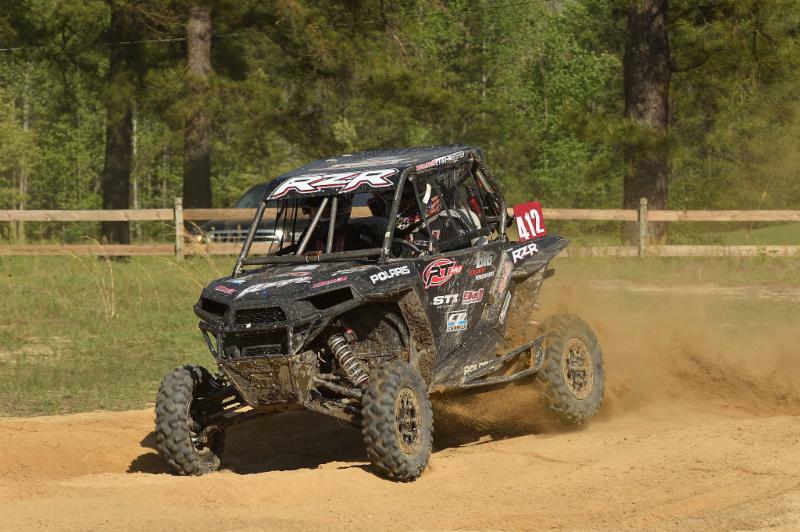 SOCIETY HILL, S.C. (April 25, 2017) – The Yokley Racing Polaris team continues to make an impressive return to racing as they captured a season-best 3rd place finish on Saturday for Round 2 of the Grand National Cross Country (GNCC) Series UTV Championship. 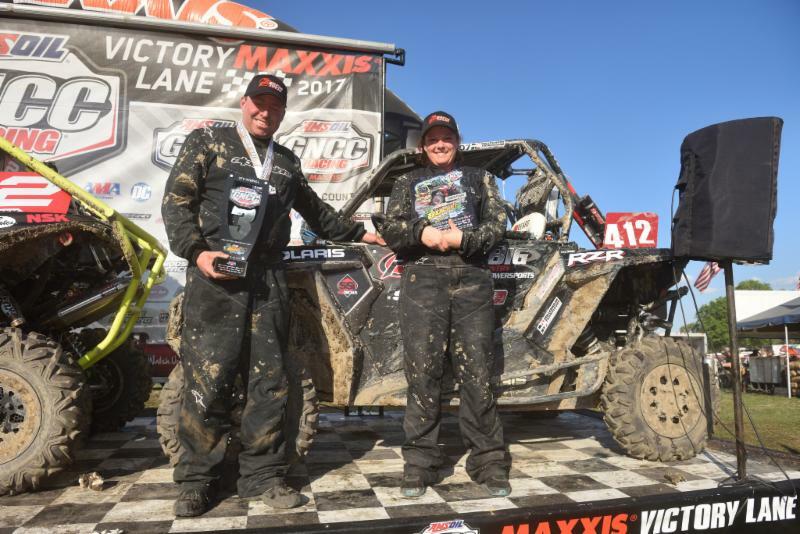 Team Driver William Yokley led the charge from behind the wheel, while his wife Tina co-piloted the team to its first podium appearance of the season in South Carolina. 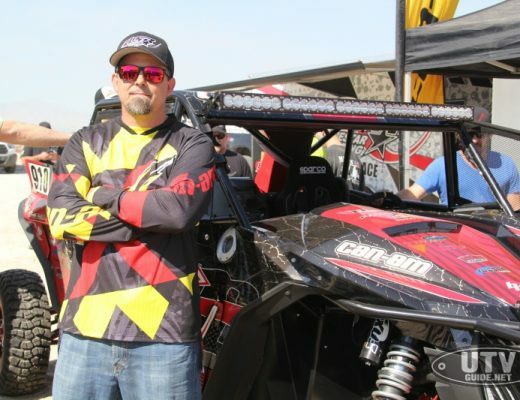 The Yokley duo was able to fire their Polaris RZR XP 1000 right away off the start to capture the holeshot from the first row against the top competitors in the sport. Yokley maintained the lead through the opening turns but a slower line choice in the next section caused him to drop into 2nd place as they entered the woods on lap one. Yokley latched onto the back of the leader Kyle Chaney at the beginning of the lap but he soon dropped back due to low visibility in the dusty field sections. On lap three, Yokley came upon a lapped rider who was stuck in the main line so he chose an alternate line to get past the stopped car. However, it didn’t work out too well as he nearly destroyed his drive belt in the process. As a result, Miller was able to get by for the 2nd place position, which dropped Yokley back to 3rd place. Yokley and Miller battled back-and-forth for the remainder of the race, each swapping the 2nd place position several times throughout the final laps. The battle continued to the very end of the five-lap race, where Yokley finished only 1.5 seconds behind Miller for 3rd overall. 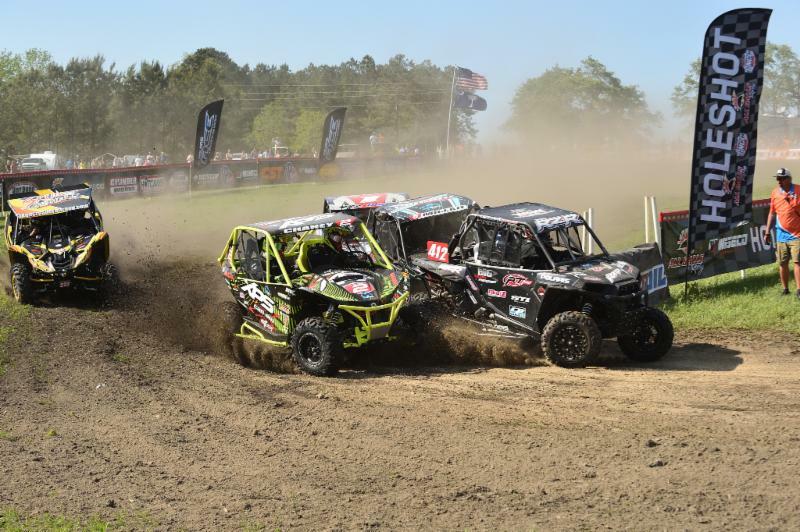 After two rounds of racing, the Yokley Racing Polaris team sits 5th place in the UTV Overall Championship Standings with a pair of top-five finishes behind them. The Yokley Racing Polaris Team would like to thank its 2017 sponsors for all that they do: Polaris Industries, RT Pro, Elka Suspension, STI, CP Carillo, Millennium Technologies, Ballistic Batteries, Hess Racing.